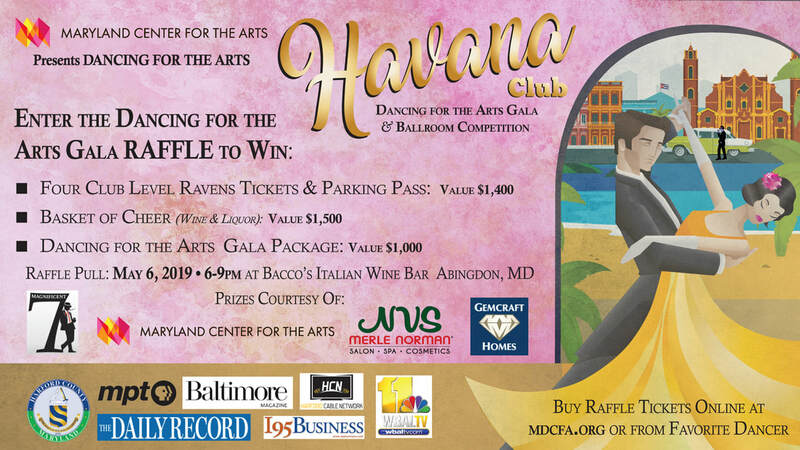 Purchase Dancing for the Arts Raffle Tickets for the chance to win one of these high-value prizes below! If you want to support a dancer with your raffle ticket purchase, visit their fundraising page at Support a Celebrity Dancer or buy them from your favorite dancer at one of their fundraisers at several participating local restaurants. View the schedule at Attend a Dancer's Fundraiser. ​at Bacco Italian Wine Bar and Restaurant in Abingdon, Maryland.